[PDF] The Only Guitar Book You'll Ever Need: From Tuning Your Instrument and Learning Chords to Reading Music and Writing Songs, Everything You Need to Play like the Best | Free eBooks Download - EBOOKEE! Description: Your one-stop guide to learning guitar! 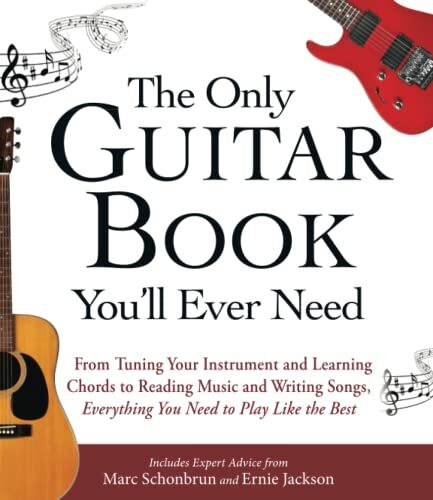 Whether you've been strumming the guitar since you were a kid or are just starting out, The Only Guitar Book You'll Ever Need will help you take your music to the next level. Filled with clear, step-by-step instructions and tons of professional tips, this guide teaches you everything you need to know about playing a guitar, from buying the right model to performing all your favorite songs. This book also includes helpful information on: Reading music Tuning any guitar Mastering scales and chords Alternating tuning, harmonics, and slide playing Equipment, such as straps, amplifiers, strings, and pedals A complete introduction to one of the world's most popular instruments, The Only Guitar Book You'll Ever Need shows you how to master the guitar in no time! 2017-11-10[PDF] Fabric Dyer's Dictionary: 900 Colors, Specialty Techniques, The Only Dyeing Book You'll Ever Need! 2017-04-07[PDF] The Only Tarot Book You'll Ever Need: Gain insight and truth to help explain the past, present, and future. No comments for "[PDF] The Only Guitar Book You'll Ever Need: From Tuning Your Instrument and Learning Chords to Reading Music and Writing Songs, Everything You Need to Play like the Best".